UPDATE V: Twitter has blocked the account of Operation Payback, the hacktivist group that has been cyber-attacking groups and individuals working against WikiLeaks, according to sources citing NBC. Operation Payback raised the stakes in the battle over WikiLeaks’ Julian Assange when it began attacking credit card providers Visa and MasterCard over their freezing of WikiLeaks accounts,, causing parts of the companies’ online operations to go dark. But the disappearance of the group from Twitter is expected to be short-lived, as setting up a new account is relatively easy. One such account, Anon Operationn, already appears to be operational. For its part, WikiLeaks appeared to be in a charitable mood today, perhaps in an attempt to dampen anger in some corners over the leaked State Department cables and cyber-attacks on anti-WikiLeaks groups. UPDATE IV: Sarah Palin is the latest target of “Operation Payback,” the group of hacktivists who have been launching cyber-attacks against organizations and people working against WikiLeaks. The website and personal credit card information of former Gov. Sarah Palin were cyber-attacked today by Wikileaks supporters, the 2008 GOP vice presidential candidate tells ABC News in an email. According to ABC’s Jake Tapper, the website associated with Operation Payback — anonops.net — had listed Palin’s website as a potential target. “This is what happens when you exercise the First Amendment and speak against his sick, un-American espionage efforts,” Palin said in an email. The company that processes payments to WikiLeaks says it will sue Visa over the credit card company’s decision to shut out WikiLeaks. “DataCell, who facilitates those payments towards WikiLeaks, has decided to take up immediate legal action to make donations possible again,” the company said in a statement flagged by TalkingPointsMemo. ‘Anonymous’ hackers flexed their muscle again Wednesday, orchestrating a successful denial of service attack against Visa, the largest credit card provider in the world. A Twitter account connected to the hackers declared the start of the attacks and the site was unavailable less than 16 minutes later. The attack was allegedly orchestrated as an act of vengeance over Visa’s decision to cut off electronic donations to secrets outlet WikiLeaks. WikiLeaks said Wednesday that its payments processor, Iceland-based DataCell, planned to sue Visa and MasterCard for terminating payments to the site. MasterCard Worldwide confirmed on Wednesday morning that the “MasterCard Directory Server” had gone down and that cardholders were experiencing service interruptions. 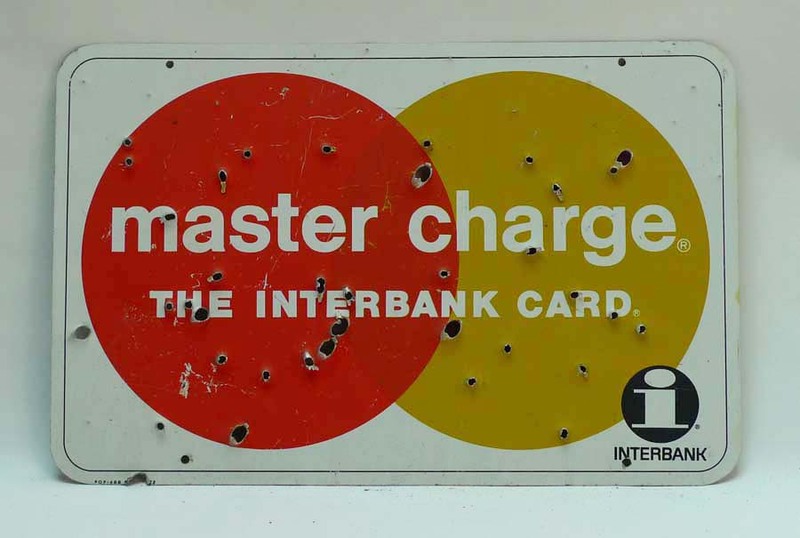 The revelation was made as a massive denial of service attack was staged against MasterCard, ostensibly for refusing further payments to secrets outlet WikiLeaks. MasterCard transactions appeared to be proceeding as normal later in the day. Yesterday, MasterCard Worldwide became the latest financial institution to face the wrath of online hackers acting to avenge secrets outlet WikiLeaks over the credit card provider’s declaration that the site was engaged in “illegal” activities. Not 36 hours after MasterCard froze payments to WikiLeaks, their website was down as hackers with the group “Anonymous” launched a new wave of cyberattacks. The company said its customers could still use their credit cards for purchases, but the PayPoint retail network told a BBC reporter that MasterCard’s “SecureCode” service had been taken down, interrupting service all over. The hackers also claimed responsibility for taking down the website for Swiss bank PostFinance, after it froze an account with over €31,000 set aside for site founder Julian Assange’s legal defense. Assange was arrested in London yesterday on an Interpol warrant out of Sweden, where he’s wanted for questioning in an investigation of sexual assault. “Anonymous” has dubbed their cyber warfare campaign “Operation Payback,” threatening to “fire” on any entity that attempts to censor WikiLeaks. Service to mastercard.com was unavailable at time of this writing. The website for the Swedish prosecutor’s office was also offline, as was a site for the lawyer representing Assange’s accusers. Secure Computing Magazine called what’s happening “an all-out cyber war,” noting that massive botnets were attacking each other by mid-Wednesday morning as even the ‘Anonymous’ group had come under fire from another group of hackers that sought to defend US interests. That group, which was successful in taking WikiLeaks offline in late November, was also thought to be behind attacks on the ‘Anonymous’ website, anonops.net, which was still online at time of this writing. A “botnet” is Internet slang for a massive shadow network of computers that have been unknowingly hijacked by malicious software. They are typically used for nefarious purposes, such as distributed denial of service attacks. Credit card processor Visa also suspended payments to WikiLeaks on Tuesday morning, but its website was functional at time of this story’s publication. It too was expected to come under denial of service attacks. “Operation Payback” also promised to attack PayPal, the online payment service that last week cut off WikiLeaks and froze over $60,000 in electronic donations, but their site was still online Wednesday morning. Topics trending on Twitter suggested an attack may also target the micro-blogging site. Others to suffer downtime this week include PayPal’s blog, EveryDNS — the domain name service provider that pulled WikiLeaks off it’s .org address — and Sen. Joe Lieberman’s (I-CT) .gov website. Lieberman’s staff was responsible for prompting Amazon.com to take WikiLeaks off its US-based cloud servers. Researchers with Panda Security have been tracking the wave of attacks, blow-for-blow. “What is this all about? And what does it have to do with censorship and Operation Payback?” ‘Anonymous’ asks on their website. “While we don’t have much of an affiliation with WikiLeaks, we fight for the same reasons. We want transparency and we counter censorship. The attempts to silence WikiLeaks are long strides closer to a world where we can not say what we think and are unable to express our opinions and ideas. Raw Story will continue following the latest developments.